Home » Gadget » Asus ZenFone 5 Will Be Released Soon, When? 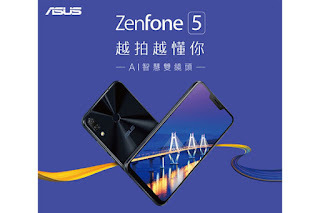 Asus ZenFone 5 Will Be Released Soon, When? Asus has introduced the ZenFone 5 Series to the public in the event MWC 2018 ago. This smartphone is regarded as one of the best mid-range devices on the market that are presented with many trendy features and deliver highly qualified performance. Well reportedly, Asus has scheduled the official launch of Asus ZenFone 5 to be held on 12 April. Asus ZenFone 5 will feature a 6.2 inch screen with a resolution of 2,246 x 1,080 pixels and aspect ratio of the screen to the body up to 90%. This smartphone will also adopt the design of the banged screen. In addition, Asus ZenFone 5 is one of the smartphones with the highest screen proportion size around the world. Such designs allow this smartphone to provide an excellent viewing experience for all its users. In addition, the visual effects and sharpness of the image of the Asus ZenFone 5 screen is very sharp and detailed. As for the configuration in it, Asus ZenFone 5 is equipped with Qualcomm's Snapdragon 636 processor, which is paired with 4 / 6GB RAM, 64GB internal memory, and a 3300 mAh power capacity battery. In the photography sector, Android-based smartphone v8.0 Oreo is equipped with dual-lens camera system. The main lens uses a 1.4-micron Sony IMX363 sensor module and has a f / 1.8 aperture. According to Asus, with this feature, the ZenFone 5 camera is able to memgabadikan photo with a very real picture quality and detail. Includes for shooting in dark or low light. After being officially launched on April 12, 2018, Asus ZenFone 5 will be available for purchase in the international market in June 2018. Various preparations have been made by Asus to succeed the official launch of Asus ZenFone 5. Including inviting Gong Yoo (famous actor, and handsome model from South Korea) who will act as a spokesman and moderator in the launch event. 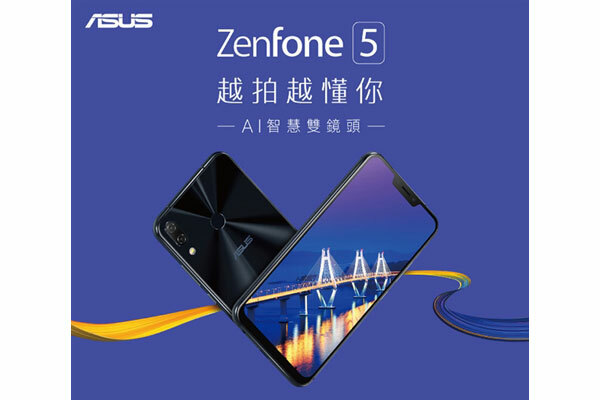 Currently there is no information regarding the availability of color variants, and price expectations from Asus ZenFone 5. Let's wait news from us next. 0 Response to "Asus ZenFone 5 Will Be Released Soon, When?"